From 1809 until just before her death, Jane Austen lived in a small, all-female household at Chawton, where reading aloud was the evening's entertainment and a crucial factor in the way Austen formed and modified her writing. 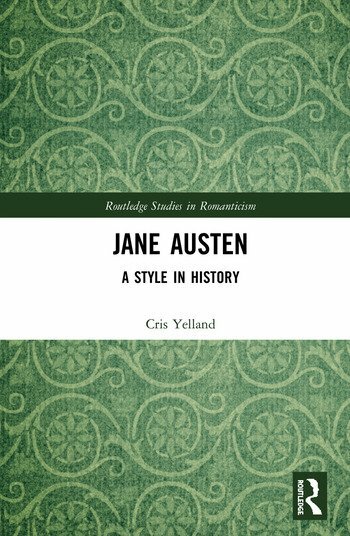 This book looks in detail at Jane Austen's style. It discusses her characteristic abstract vocabulary, her adaptations of Johnsonian syntax and how she came to make her most important contribution to the technique of fiction, free indirect discourse. The book draws extensively on historical sources, especially the work of writers like Johnson, Hugh Blair and Thomas Sheridan, and analyses how Austen negotiated her path between the fundamentally masculine concerns of eighteenth-century prescriptivists and her own situation of a female writer reading her work aloud to a female audience. Dr. Cris Yelland is the author of several publications, including 'Speech and Writing in the Northern Star', Labour History Review, 'The Communist Manifesto - a linguistic approach', Studies in Marxism , and 'Hardy's Allusions and the Problem of "Pedantry", Language and Literature. After successfully defenindg his thesis on 'The Construction of the Rural Worker in Thomas Hardy's Pastoral Fiction', Dr. Yelland receive his Ph.D. in 1992. He was also Lecturer, Senior Lecturer, and Principal Lecturer in English at Teesside Polytechnic/Teesside University from 1974-2011.